Awkwafina is in talks to join Dwayne Johnson and Kevin Hart in the sequel to 2017’s smash hit Jumanji: Welcome to the Jungle, as THR first reported. 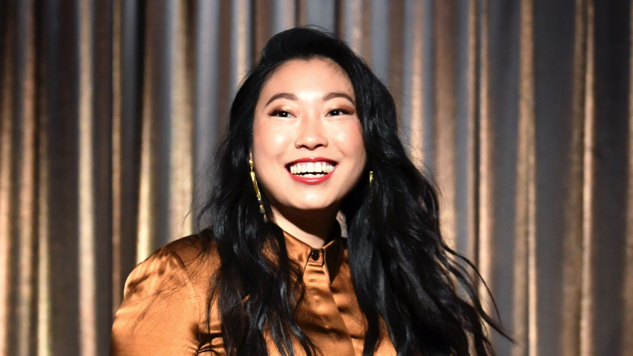 Born Nora Lum, the rapper/actress had quite the breakout 2018 between key roles in last summer’s Ocean’s 8 and Crazy Rich Asians, an SNL gig and a Comedy Central series order for Awkwafina, a self-titled, half-hour comedy show inspired by her life. Welcome to the Jungle became an unlikely blockbuster in December 2017, grossing over $962 million worldwide, opening opposite Star Wars: The Last Jedi. Sony ordered the sequel in February 2018. The plot of the as-yet-untitled Jumanji sequel is being kept under wraps, as is Awkwafina’s role, although THR’s sources say she will be a major player in the film. Welcome to the Jungle writers Scott Rosenberg and Jeff Pinkner are on board to script the sequel, joined by the 2017 hit’s director Jake Kasdan. Matt Tolmach produces along with star Johnson’s Seven Bucks banner and Kasdan. The Jumanji: Welcome to the Jungle sequel is set to premiere on Dec. 13. In 2017, Paste photographer Cortney Armitage spent the day documenting the life of Awkwafina. You can revisit that photo set here.